The Xbox is a video game console developed by Microsoft, and was first released in late 2001. It was Microsoft's first independent venture into the console arena, and competed in the sixth generation of video game consoles, primarily against the PlayStation 2, Nintendo GameCube and to a lesser extent, the Sega Dreamcast. The Xbox was Microsoft's major console until 2005, when the Xbox's successor, the Xbox 360 launched. Though the Xbox does not represent Microsoft's first foray into video games, it does represent their first attempt at a dedicated video game console. It was built by the team which had pioneered DirectX technology on Windows PCs (hence its working name, "DirectX Box"), and was the first major console in many years not to have been designed by a Japanese video game company. The Xbox is largely considered to be a relatively successful endeavour for Microsoft, though the company's business naivety when dealing with console gaming (particularly in Japan where the Xbox bombed) led to a number of issues which kept the Xbox behind the PlayStation 2 both in terms of content and sales. The Xbox was disposed of relatively quickly after the launch of the far more successful Xbox 360 console. 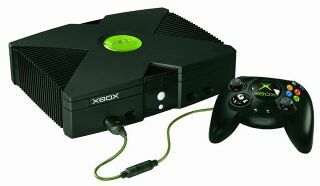 Many consider the Xbox (and by extension, the Xbox 360) to be the spiritual successor to Sega's line of consoles, due to much of the Xbox's design being influenced by the Dreamcast. See Sega Dreamcast hardware comparison for a technical comparison between the Dreamcast, PS2, GameCube and Xbox hardware. The Xbox and GameCube were considered to have been the most powerful consoles of that generation, with the Xbox stronger in certain aspects while the GameCube was stronger in other aspects. Sega was one of the first major third-party publishers to back the Xbox, announcing an eleven game deal for the system during the 2001 Tokyo Game Show and becoming one of the biggest Japanese publishers to support the system. Many former Dreamcast games or sequels to popular franchises, including Jet Set Radio Future, Panzer Dragoon Orta, Sega GT 2002 (and Sega GT Online), Gunvalkyrie, Crazy Taxi 3: High Roller, The House of the Dead III and ToeJam & Earl III: Mission to Earth were made exclusive to the Xbox console (although some have been re-released on other platforms since). Many factors suggest the Xbox was Sega's preferred console during the first two or three years of the system's lifecycle. Sega Chihiro arcade hardware is derived from the Xbox, and much of Sega's early Xbox games are arguably more demanding in nature than their PlayStation 2 output (with a closer resemblence to that of the Sega Dreamcast's western library than the family-friendly selection of games given to the GameCube and the Japanese-centric games given to the PlayStation 2). By the middle of the decade, however, the playing field was leveled, with a stronger focus on multi-platform games over giving each system its own set of exclusive titles. Much of the Xbox's design is influenced from the Sega Dreamcast. From a controller design perspective, the original Xbox controller was modeled after the Dreamcast Controller, while the redesigned Xbox controller adopted aspects of its design from the Saturn's Control Pad. In addition, the Xbox was influenced by the lessons Microsoft learned from the Windows CE operating system included in the Dreamcast's specifications. The SegaNet service also had an influence on the Xbox Live service. At one point the Xbox was even planned to be able to run Dreamcast games, with Isao Okawa, then-president of Sega, having several meetings with Microsoft founder Bill Gates over the subject. The deal inevitably fell through due to online issues - Dreamcast online support conflicting with Microsoft's plans for the Xbox Live service. The relationship between Sega and Microsoft remained very close at the time, with Sega of America's Peter Moore migrating to Microsoft in the years that followed.